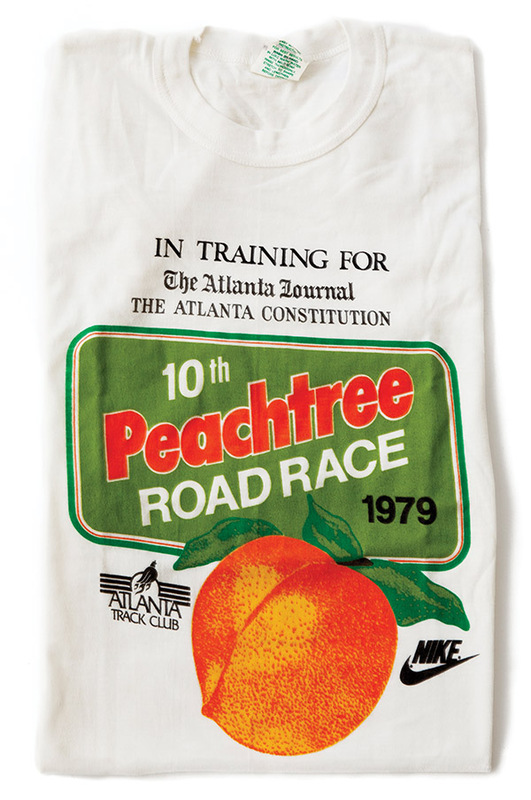 Runners at the first Peachtree Road Race in 1970 received only 15 cents in bus fare. 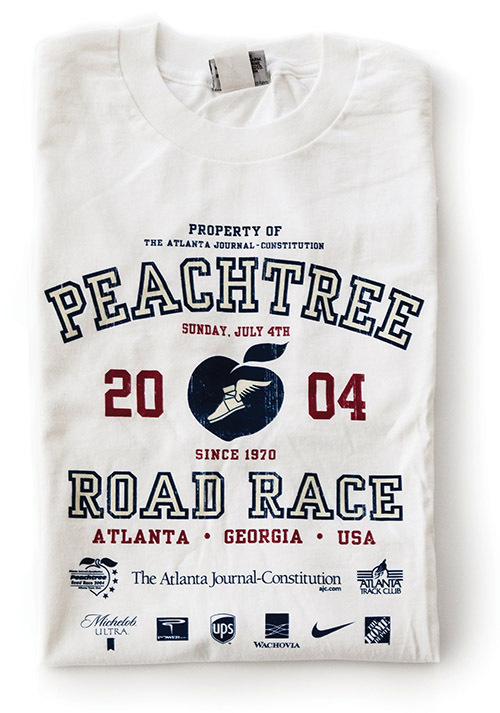 But the annual T-shirt has since become one of our city’s most prized trophies. 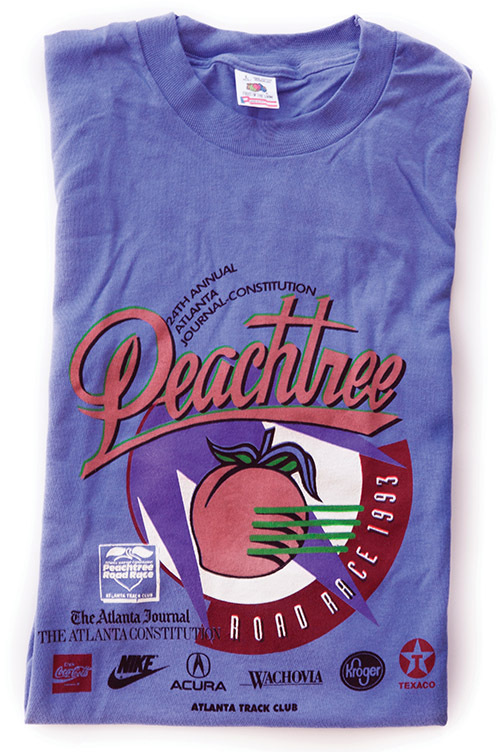 People hated the perky 1994 shirt so much that tees have been chosen by vote ever since. 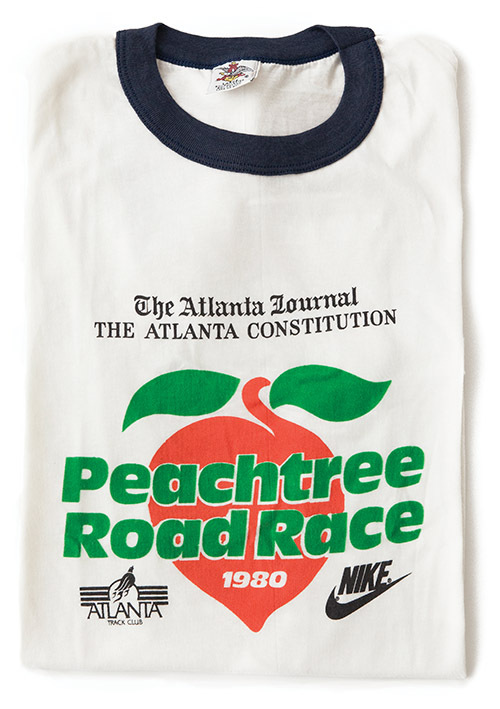 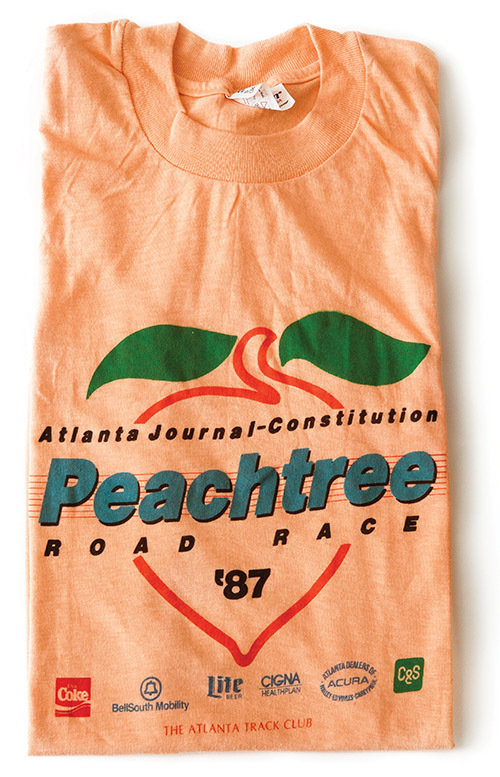 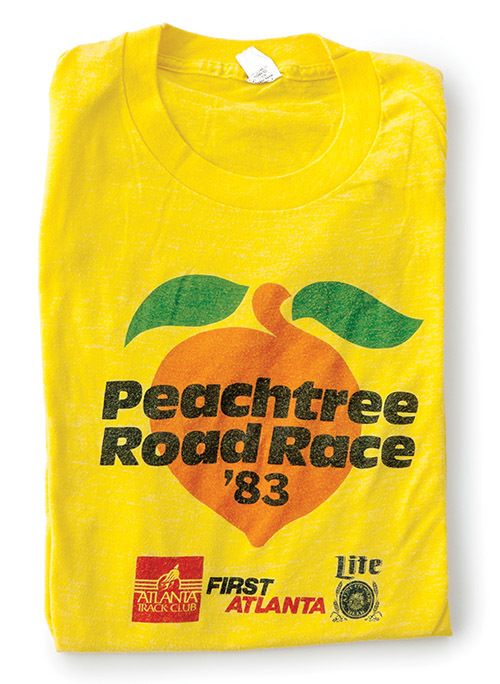 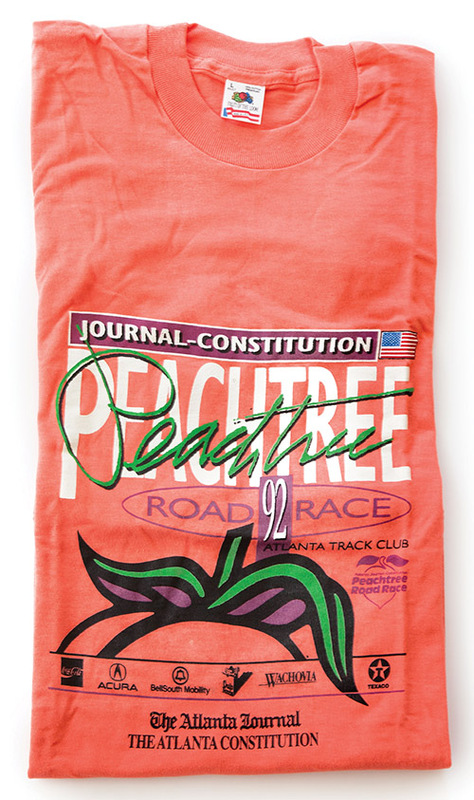 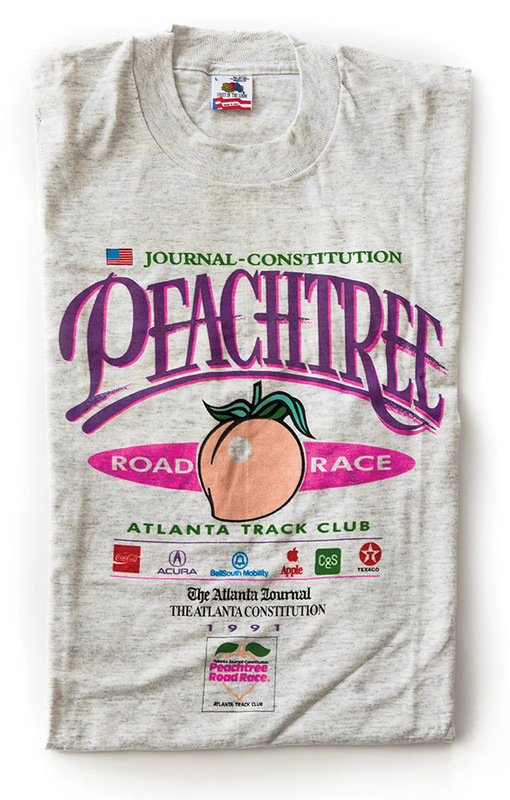 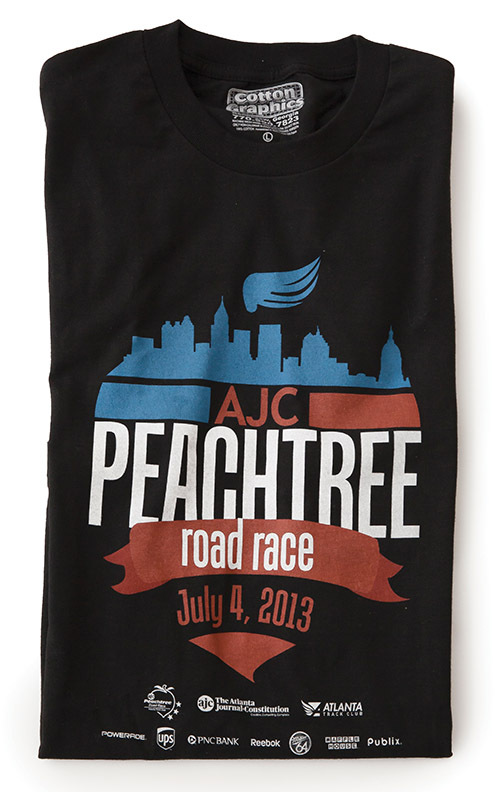 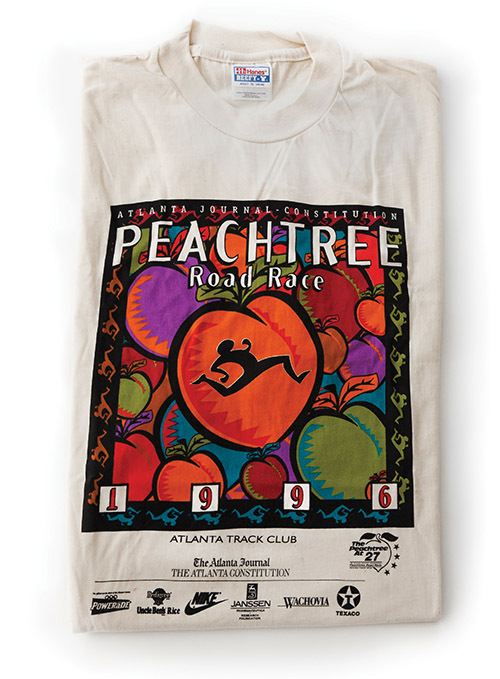 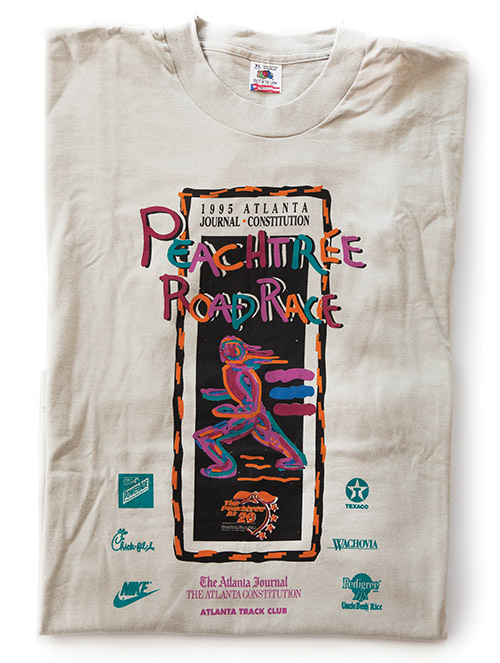 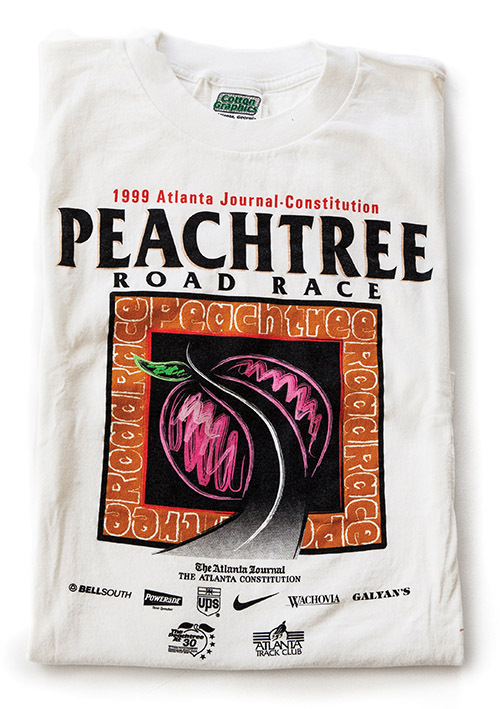 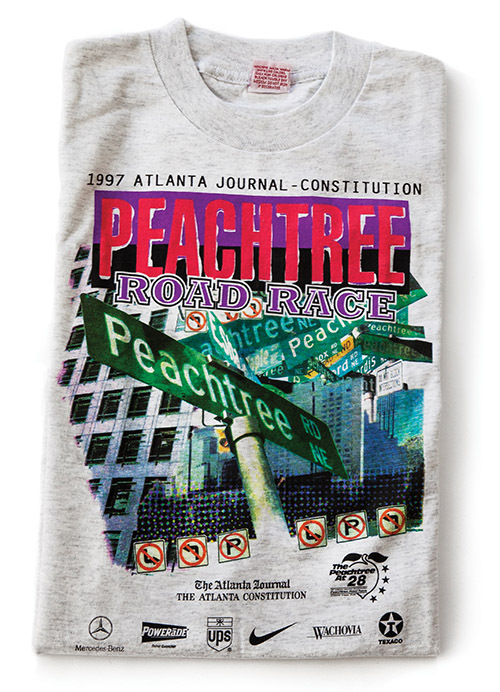 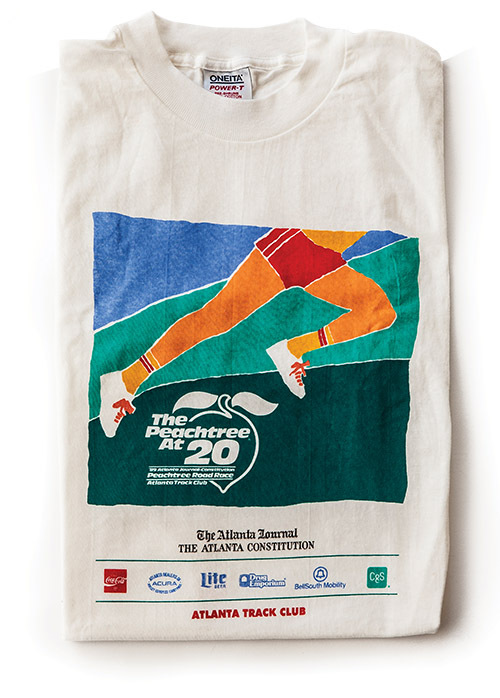 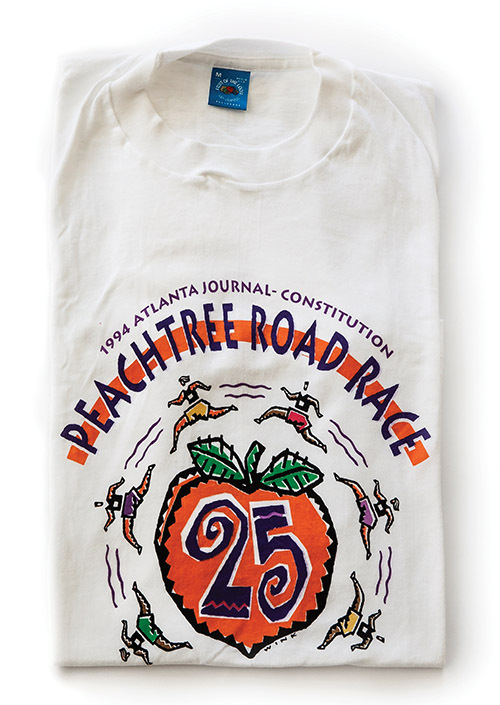 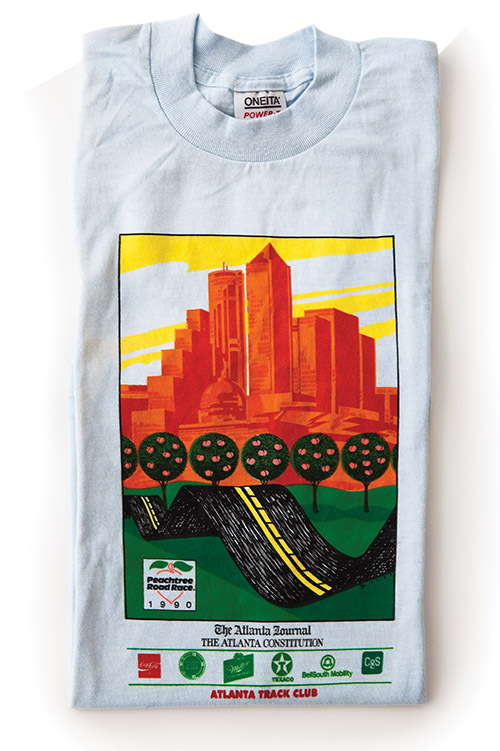 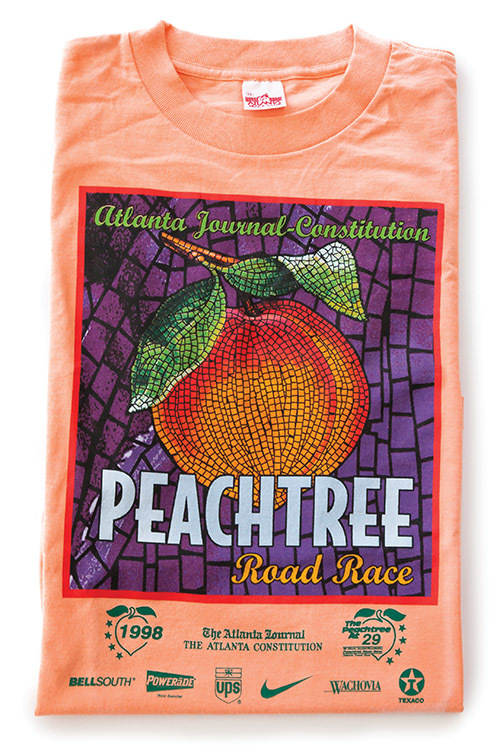 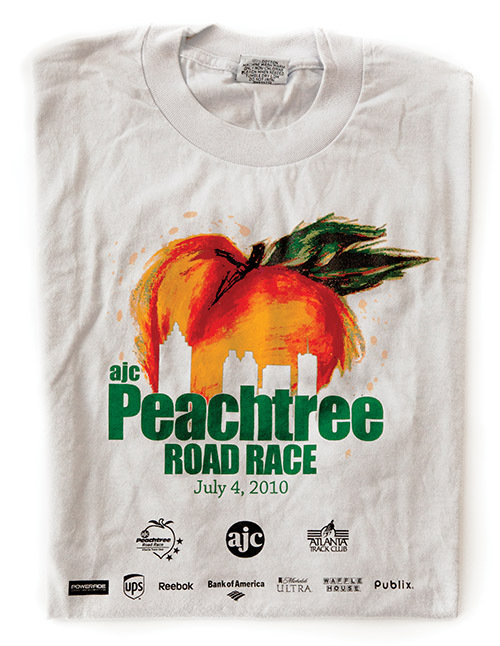 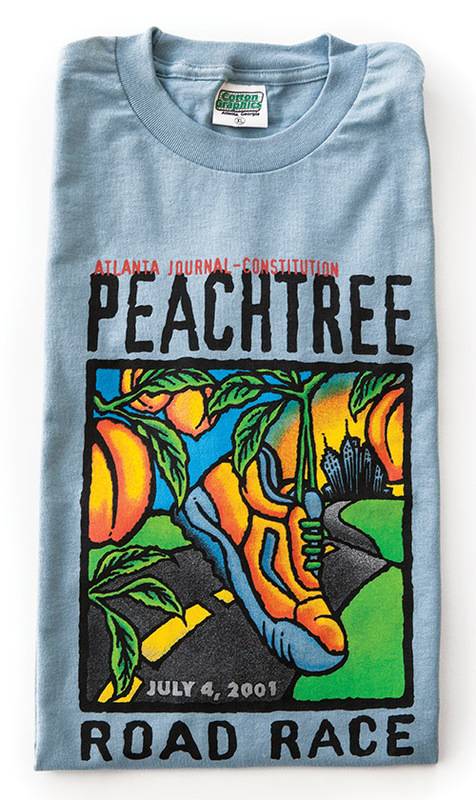 Don’t be fooled by Olympic-themed Peachtree tees from the 1990s. 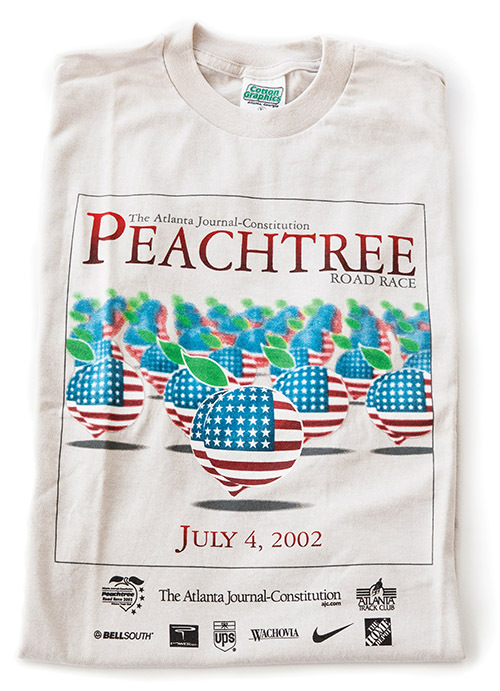 This was the official one. 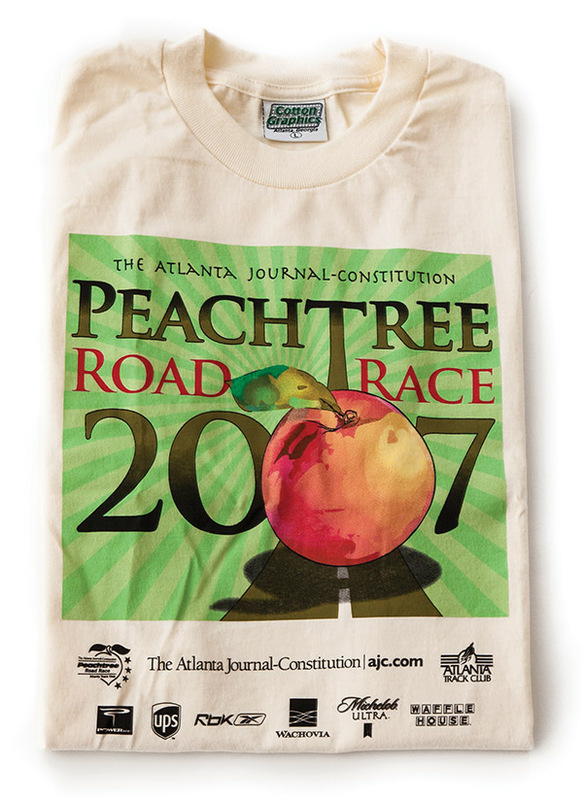 Annual shirts are now chosen by contest. 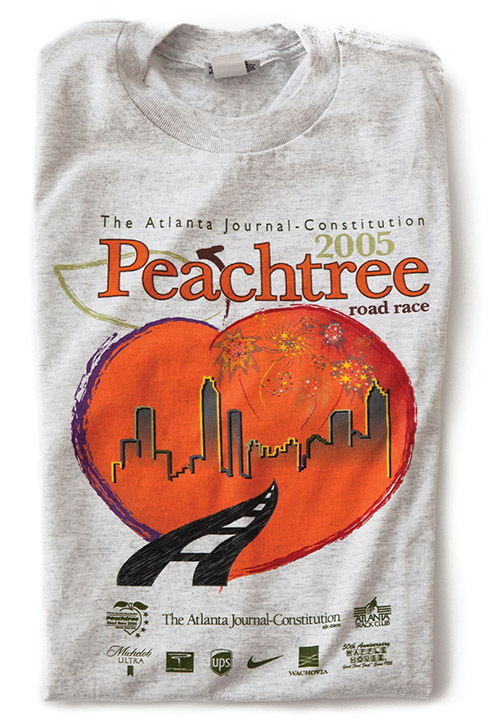 Mandy Goss, who won in 2007, once worked in a T-shirt shop.